In order to stick to a budget, we started implementing Dave Ramsey's "Envelope System" into our daily spending. Basically each month you take out allotted amounts of cash for Groceries, Clothes, Entertainment, etc. 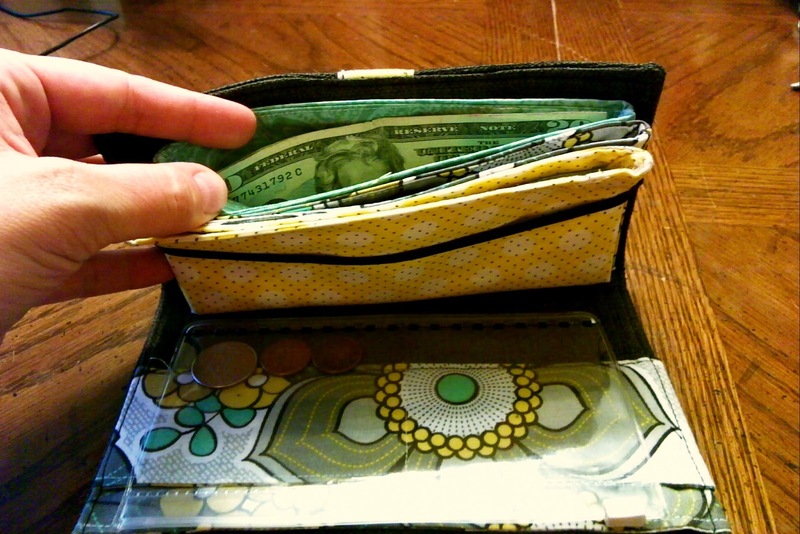 The system suggests keeping the cash in separate envelopes, this helps prevent over spending in any certain area. We have been doing it for a few months now and it works wonderfully for us! 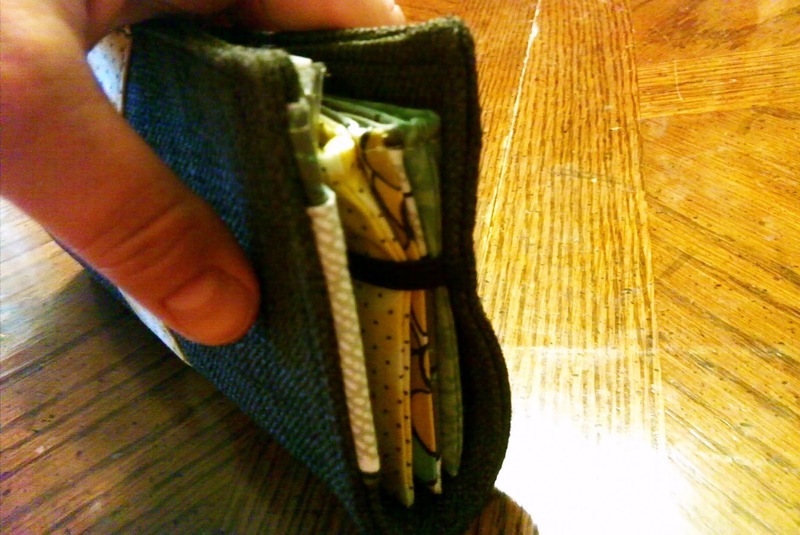 We have been able to stay on budget and SAVE every month. 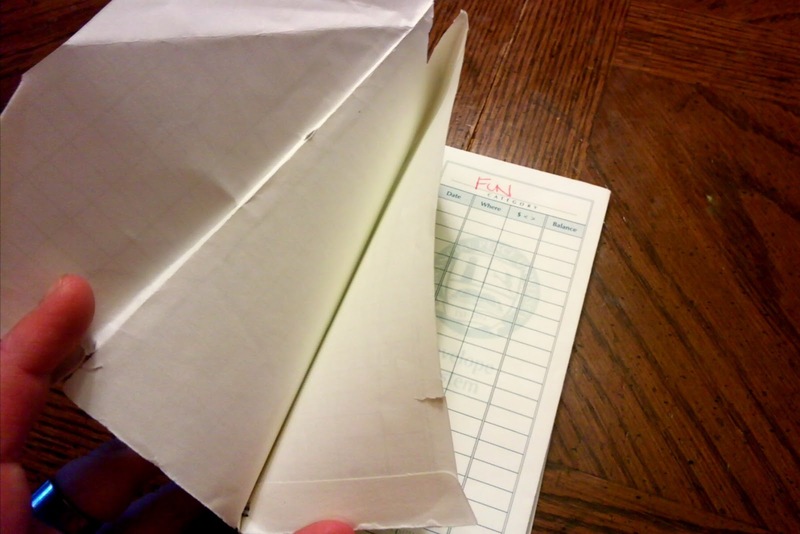 However, after one month my envelopes looked like this... (ripped to shreds). After a lot of searching I found these cute envelope wallets on Etsy for sale, BUT I just couldn't bring myself to spend the $60. 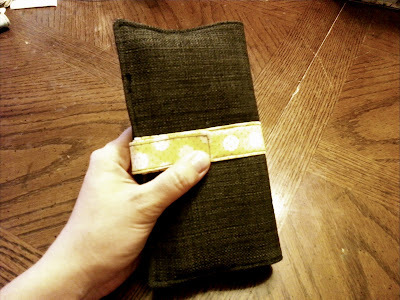 Being the crafty (cheap...hence the tight budget) sister I am I decided to make my own. Hallelujah for the saint who posted her tutorial here! Here's how mine turned out. 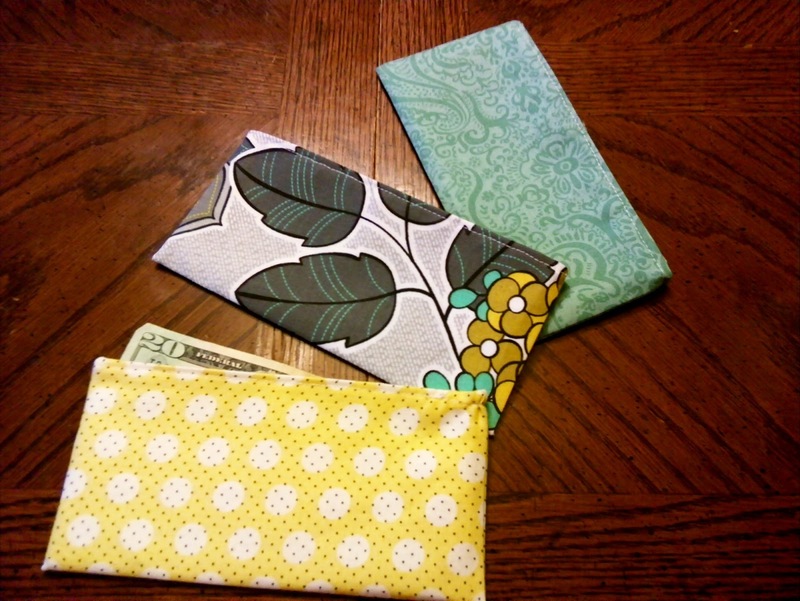 I only made three "envelopes" (tutorial here) since we only take out cash for Groceries, Entertainment, and Kids. 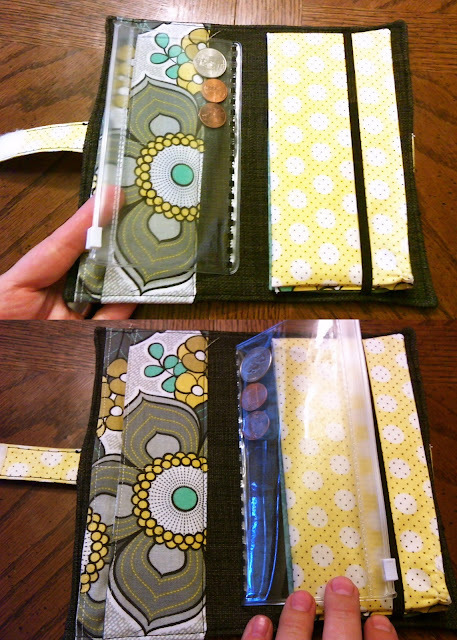 I ripped the plastic change holder out of Ramsey's Envelope System and sewed it into my own. This wallet was very simple to make and I love how it turned out! love it. You can make me one for my birthday. we are official members of Financial Peace University (as of this month) and have just started the envelope system too! totally doing this... Thanks!